It was a masterful piece of Radio 4 news editing this morning (2 June). First came the pro-EU story: Jeremy Corbyn had made a statement about the contribution of the EU to guaranteeing workers’ rights, pointing out that, without the EU, we would be reliant on the Tories for this protection. Then the balancing “Leave” story: Liam Fox appealing to the young by claiming that EU membership means they would have to live with their parents for longer because the presence of EU migrants pushes up the demand for housing, and hence house prices. Then the brilliant editing: the next piece referred to a slowdown in the construction industry because of concerns ahead of the referendum. It doesn’t take brilliant powers of deduction to work out that less house-building pushes up prices. Jeremy Corbyn has a point about workers’ rights. The EU has delivered significant workers’ rights — he quoted sensible holiday entitlements, limits on the hours people can be expected to work and the extension of these rights to part-time workers. The Tories’ track record on workers rights tells a rather different story. Labour have been highlighting this for a while and an example is changes which have made it harder to take things to an employment tribunal. While good employers know that treating staff well is key to success, the Tories are right, that there are time when a firms think they can get a competitive advantage by treating staff badly. EU-wide protection of workers means that we are playing by the same rules across the EU which means no one country can gain by mis-treating its workers. This seems a very good thing. Liam Fox is being disingenuous. Immigrants do push up the demand for housing. But free movement of people 2 million British nationals live elsewhere in the EU: if they lose that right it would put strain on UK housing. And the answer to the UK housing crisis is a mixture of building more houses, sensible changes to taxation, and improving transport so businesses can be based where people can afford to live. The government can act on each of these: it is crass populism to blame immigrants instead. Construction. The BBC were absolutely right to flag up the issues in the construction industry immediately after reporting Liam Foxs’ words. If the industry is being cautious in case we vote to leave the EU, that rather implies that they think things would be grim if we left. An 18% fall in house prices has been predicted if we leave the EU, with the estate agent Winkworth expressing concern. On the face of it this sounds like good news for people struggling to afford a place to live. Actually it isn’t. Many small businesses have business loans secured against their proprietors’ homes, so a sudden shock has a big impact on business. High levels of household debt mean that a sudden drop in house prices, and hence available credit, would slow the economy. House prices coming down sounds great if you are struggling to buy, but not if you lose your job, or economic conditions make mortgages harder to get. 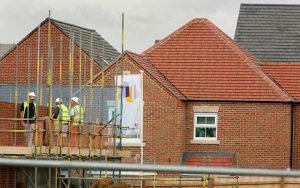 The answer to the housing crisis is to build more houses, deal with the tax issues that lead to property speculation, and improve transport links. These are things the government should already be engaging with. The stability of being in the EU makes all of these easier.